This 2400sq ft luxury home is a great find, in a nice neighborhood. Upon entry you'll note the nuetral colors, cherrywood floors and a warm open feeling.The kitchen area views the pool, has updated cabinets, fixtures and stainless steel appliances. There are 2 large family areas downstairs and a 3rd upstairs between the big bedrooms. Private/beautiful master suite has plenty of room as well, separate tub and shower, a large bathroom and walk in closet. Note the personal touches and upgrades as you walk throughout the home. 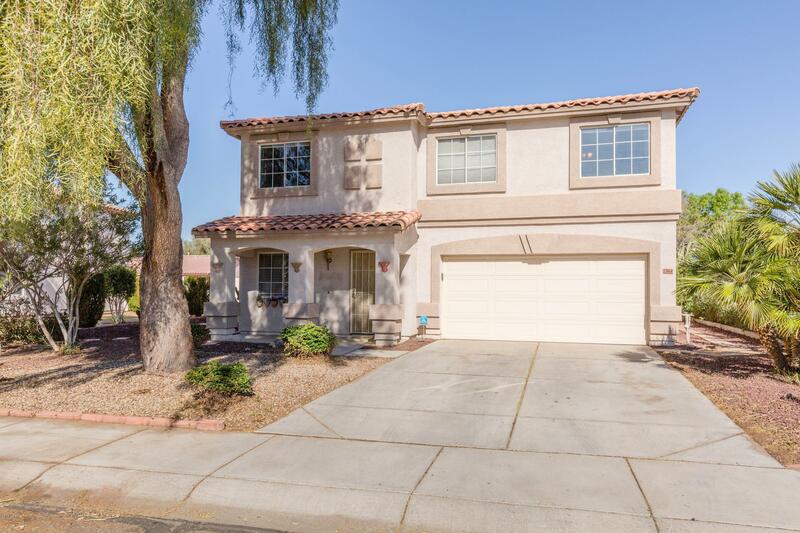 The landscaped backyard is appealing, has stucco walls, a large newly refinished pool in 2018, and sep hot tub. Make an offer, its move in ready!